Billbergia 'Novena' (Bob Spivey - 'Afterglow' x 'Domingos Martins'). A beauty with striking coloration. Chocolate colored background with a pink tint, small white bloches all over finished with frosty silver bandings on the outer sides of the leaves. The inflorescence is a showy spike with large red blacts, pink sepals and bright blue coiled flower petals. Like most Billbergia, the color intensifies with strong light and reduced feeding. It just takes time. Billbergia 'Novena' (Bob Spivey - 'Afterglow' x 'Domingos Martins'). A beauty with striking coloration. Chocolate colored background with a pink tint, small white bloches all over finished with frosty silver bandings on the outer sides of the leaves. The inflorescence is a showy spike with large red blacts, pink sepals and bright blue coiled flower petals. 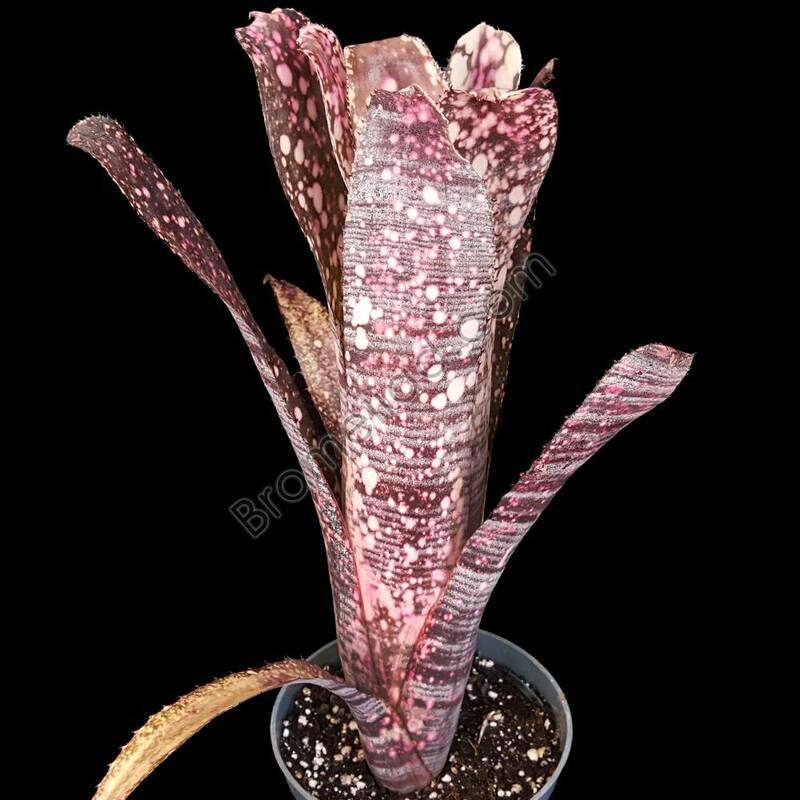 Like most Billbergia, the color intensifies with strong light and reduced feeding. Maximum Size: H:12" x W:8"